Tom Carmody (Vanguard University): “Arise and Stand Forth”: A Fantasy Theme Analysis of American Clergy and Their Calls for Social Action in the Nineteenth Century Anti-dueling Movement, 1804 –1856. Kathleen Edelmayer (Madonna University): Constructing Arguments in the Face of Challenges: An Analysis of the National Conference of Catholic Bishops’ Pastoral Letter on Women’s Concerns. Wayne Lewis (Stuebenville University): The Framing and Values of World Magazine: A Weekly Newsmagazine with a Biblical Perspective. Michael Longinow (Biola University): Mysterious and spontaneous power : shaping of an evangelical culture for revivalist higher education in Henry Clay Morrison’s Pentecostal Herald. Kevin Miller (Huntington University): Religious Identity and Discourse of the Other: A Narrative Analysis of the Subordinate Role of the Jew in the Apocaplytic Texts of Two Christian Groups. Bill Mullen (Shorter University): The Polemical Sermons of John Chrysostom Against the Judaizing Christians: A Dramatistic Analysis Identifying the Representative Anecdote. Paul Patton (Spring Arbor University): The Prophetic Passion and Imagination of David Mamet. Barbara Spies (Cardinal Stritch University): Antoinette Brown Blackwell and the Prophetic Voice of the Purity Movement : The Jeremiad in Purity Work. When a church service in 1858 Kansas turns into a rally against slavery, the congregation is divided between the deacon and the pastor when dealing with the new slave owner in town. Deacon McPhearson rallies the congregation against the newest attendees recently arrived from Missouri with their three slaves. Meanwhile Reverend Johnson continues to preach love over judgment despite the increasingly riled congregation. A Meeting in Kansas exposes the conflicting perspectives of slavery by proclaimed Christians during “Bloody Kansas.” The audience can feel the tension as the actors are interspersed in pews, shouting across the sanctuary—accusations flying. This one-act play snapshots the two warring sides of slavery with the church caught in the middle. Half the parents want to obey the fuehrer; the other half are appalled. Since the play takes place in the pews or classrooms, not on a traditional stage, your students and congregants will be surrounded in church history. Paul D. Patton (Ph.D., Regent University) was a pastor until he was forty, ministering in the Detroit area at Trinity Church in Livonia. It was at Trinity, while a youth pastor, that Patton founded Trinity House Theater in 1981. He is the author of over 30 produced stage plays, radio plays and performance essays. He is involved in several academic writing projects, and has lectured on topics ranging from “The Idolatry of the Cult of Celebrity” to “God Talk: Lessons in the Manipulative Use of Religious Language. He is co-author of Prophetically Incorrect: A Christian Introduction to Media Criticism (Brazos Press, 2010). What is the Prophetic Voice? The rhetorical genre of the jeremiad offers a template for creating understanding based upon the words of Jeremiah, the Puritan tradition, and contemporary secular thought. Antoinette Brown Blackwell, a speaker with a prophetic voice, was the first woman to be ordained into the ministry of a Protestant denomination in the United States in 1853. In addition to her preaching, she spoke regularly on the northeastern circuit in support of temperance, abolition of slavery, social purity, and the rights of women. Her speeches for the Social Purity Movement challenged those who sought the legalization of prostitution. Brown Blackwell adhered to the format of the jeremiad, a traditional mode of address responding to crises and offering redemption. This book examines her orations as illuminated by the jeremiad, demonstrating the utility of the genre in highlighting important characteristics of crisis rhetoric. The jeremiad helps demonstrate the religious nature of her speaking and the continued use of the prophetic voice in American rhetoric. Barbara S. Spies, (Ph.D., Pennsylvania State University) is Associate Professor of Communication Arts at Cardinal Stritch University, Milwaukee, Wisconsin, where she teaches courses in Advanced Public Speaking, Social Media and Society, Organizational Social Media, Mediation, and Interviewing, among others. She is a member of the Order of Franciscan Seculars (OFS), where she serves as the Formation Director at both the local and regional levels. In association with the Interprovincial Novitiate, she also helps to lead preaching workshops for Franciscan Friars. Editorial Process: All books are submitted to a rigorous editorial process which includes peer-review. 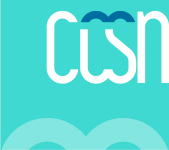 CCSN has an editorial board of respected teachers, scholars, and other professionals. An additional list of qualified peer-reviewers is used depending on the submission and publication type. Submissions: We welcome submissions from anyone whose work meets our publication goals and CCSN’s mission. Submission should be directed to the Network administrator: [email protected]. Provide a brief description (200-250 words) of the book and how it intersects with Christianity and communication studies. Do not send a completed manuscript or a book proposal. If the editorial board determines your submission is a good fit for the press, we will request a longer book proposal and provide a template for you to complete.